In vulnerable communities across Romania, Princess Margareta of Romania Foundation offers its beneficiaries the tools and knowledge to help themselves. 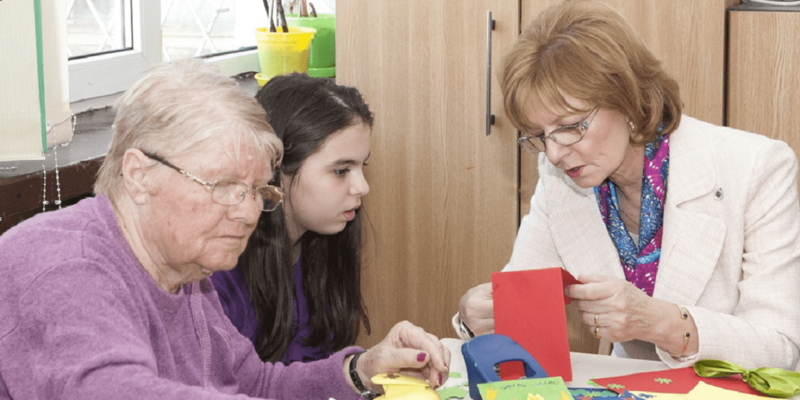 We provide individualized help to children, elderly, families in need and support communities in identifying their own resources to solve the problems they face. In order for the programs to be sustainable on a long term, the Foundation developes strong partnerships in the communities in which it operates. Thus, we benefit of the support of local authorities and institutions, the business sector, schools, churches and civil society. In the projects we develop, we bring together children, young people and the elderly and encourage intergenerational activities, dialogue and mutual exchange between generations. Our projects have a holistic approach with multiple levels of intervention. Education, although it is never our only goal, it is always a priority in our programs. Within the Foundation’s programs, we put an emphasis on school and the prevention of school dropout, and therefore the Foundation works closely with schools or kindergartens in the community. Leaving the needs of children in these vulnerable communities, the Foundation then provides support and integrated services to the families of these children as well as to all community members.